A Quick Look: The hotel was previously using an archaic management system where all details were updated manually by their managers. The new owner wanted a cloud based PMS and chose Hotelogix over many other options since the system was comprehensive and had the right price point. The system automated all operations, cutting down manual efforts by a significant percentage and saving their employees’ time. The owner found Hotelogix sales and support team to be extremely responsive, friendly and supportive. 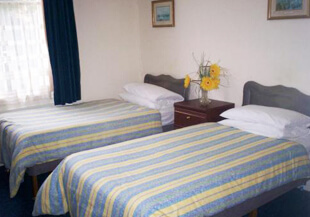 The Carlton Hotel is a 69 room quaint hotel located just a few miles away from Dover. 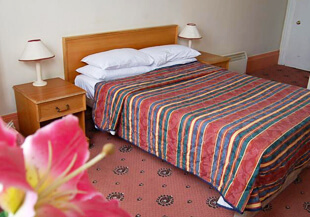 The rooms are well furnished and are perfect for both business and leisure travellers. The hotel was recently bought over by a new owner, Mr. Sarath Wickrama. The first thing he noticed was that the hotel was using “18th century” methods to run the hotel. All details regarding the hotel: check-ins, reservations, cancellations etc. were manually written by hand which led to multiple errors. His motive was to find the right cloud based PMS for the hotel. The Carlton Hotel found that Hotelogix’s PMS was an absolute value for money, it was extremely thorough and ensured that all their requirements were met. The sales team of Hotelogix were also another reason to opt for Hotelogix as they found them to be extremely friendly. They found the sales team to be responsive, helpful and forthcoming. The support team was another added asset; since urgency was the need of the day, the PMS was up and running for the hotel within 3 days. 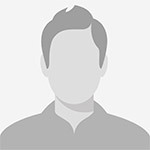 Mr. Wickrama is a person who travels extensively and one of the main reasons why he wanted Hotelogix’s cloud based PMS was because he can access the hotel from anywhere in the world, thus without physically being in the hotel he can manage it perfectly. He can also provide access to sensitive data of the hotel to his staff, with the PMS security feature, the hotel can ensure who can access the hotel from within or even from outside.